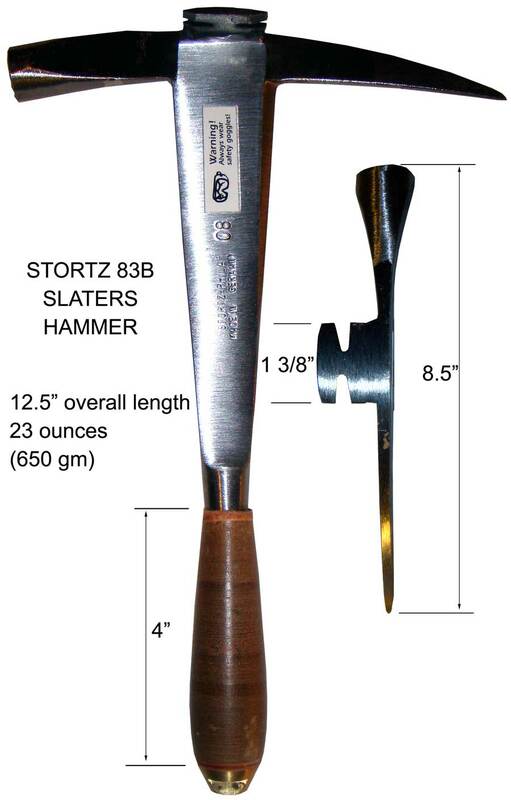 Stortz Model 83B Right-Handed or 83C Left-Handed Slate Hammer (select below). This is the traditional German-made slate hammer with the beveled shank for cutting roof slate on site.  Forged of high quality tool steel and made to the most exacting standards.Point, claw and hammer face are specially heat treated to withstand tough use. The claw at center is made for pulling nails without damaging the slate. The beveled edge on the midsection is used for trimming slate, along with a slaters stake. An all-leather handle is included. A slate hammer is a necessary tool for any slate roofer. It’s lightweight, multi-purpose, and is easily used on the roof. The major functions of a slate hammer are to cut and trim slate, punch holes in slate, and to drive nails during installation. Cutting thicker slates (thicker than a quarter inch) is also possible with the use of a hammer and stake. This slate hammer is not meant to be used to hit the back on a slate ripper to remove slate. Use a slaters restoration hammer for beating on rippers such as the Picard 0079010 Roofers Hammer. A checkered face allows for less grazing and slips when hitting nails. The point of a hammer is used for punching holes in slate. The double sided nail claw is versatile both ways to remove nails. The beveled shank is used for trimming slate in combination with a slater's stake. A bell patterned leather handle provides comfortable to grip. This is the traditional American style slaters hammer made in Germany for John Stortz and Son of Philadelphia.